OMG Posters! » Archive Zach Hobbs' Repo Man Poster - OMG Posters! Since everyone knows Zach Hobbs is the biggest punk rock fan making posters today (and that’s saying alot! ), he was the obvious choice to make a poster for an Alamo Drafthouse screening of Repo Man. This one is a 24″ x 36″ screenprint, has an edition of 69, and is $30. Visit Mondotees.com. 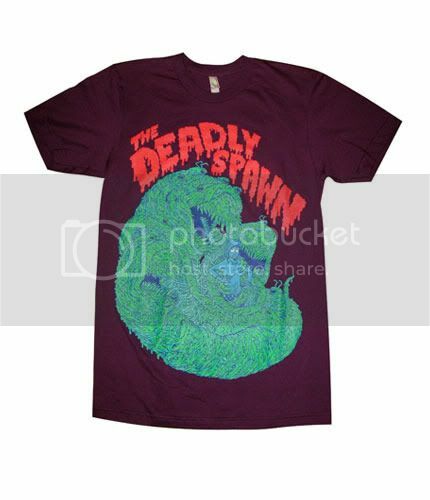 While you’re there, you should probably also check out the insane Deadly Spawn shirt by Jon Vermilyea. They still have most sizes, so head over to Mondotees.com. 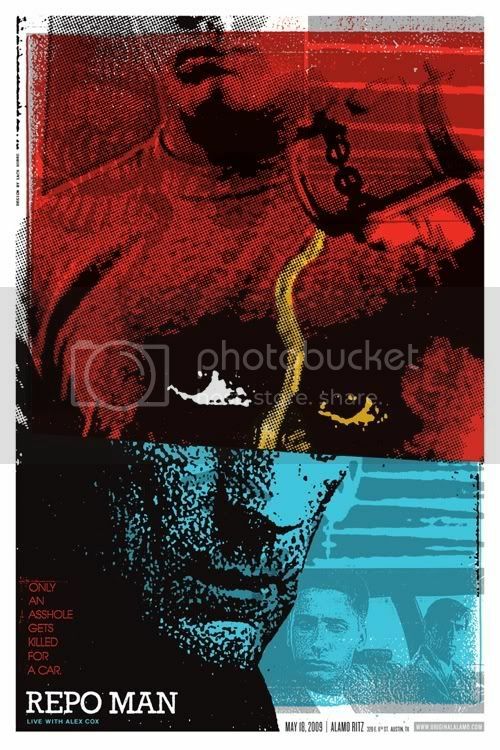 best drafthouse poster in a while….so good!